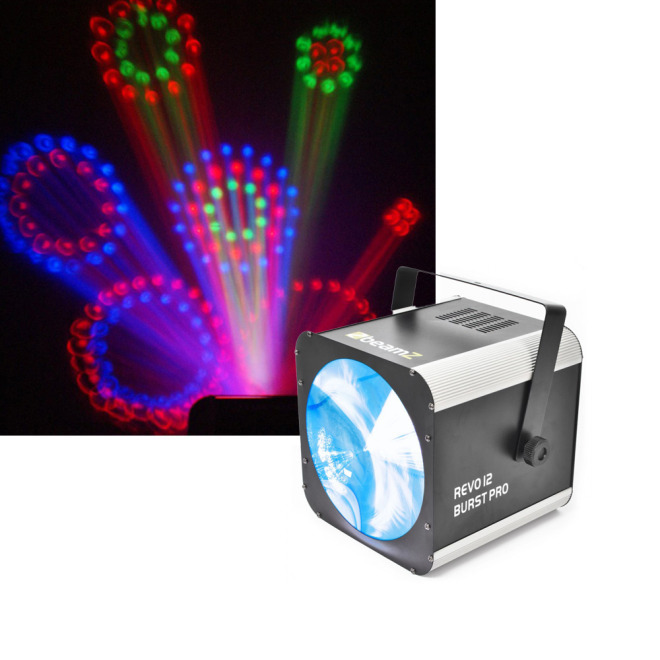 The BeamZ Revo 12 Burst Pro can be operated in different modes such as DMX, sound activated or autorun. The 469 RGB LEDs can create an impressive atmosphere with a variety of pre-programmed lighting effects. LED technology ensures low energy consumption and high luminous efficacy. The Master/Slave function is ideal for use at parties, discotheques, theatres, etc.